!Please open the scalp process according to the hourly trend direction. ALPC MATRIX Forex System is actually a supportive tool where many EAs search the Forex market for the best entrance to the system for all pairs defined in Market Watch List. In the Matrix system we have two arrays combined as the array of EAs and the array of forex pairs. This unique system gives us the opportunity to enter any forex pair which gets the signal sent by one of the EAs in the system. In that way you just need to make the trade with pre defined TP and SL values, after checking the situation of the related parity. This means first we get the buy or sell signal for any parity then with one click we go to that parity, check the situation and make the buy or sell trade. After that we can leave the trade as it gets closed when it reaches the TP value. 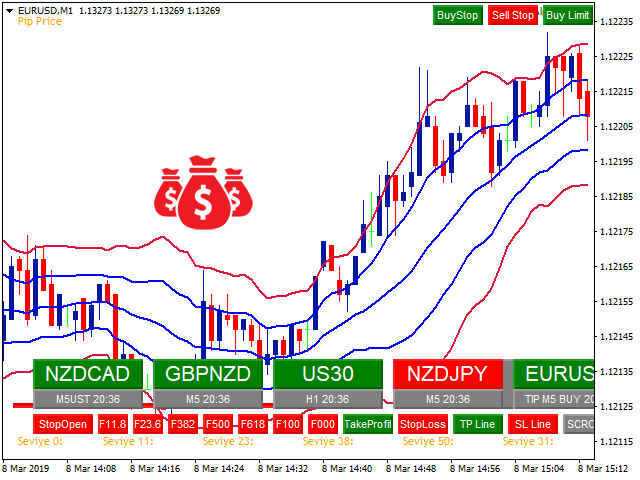 But, as you know how forex system become unpredictable, we have also the SP value which can be adjusted as the entrance price value to the trade. So either we win and go out or we go out with no loss. Here we explain the usage of the ALPC MATRIX Forex System with the aim to make the usage of MT4 metatrader platform better. The system gives you all the needed information before you enter the trade, the opportunity to catch the chances and increases the percentage of your winnings. With this unique system you get the signals, check the parity and make all changes with the usage of objects of the tool instead of making them manually. In that way you will be much faster then ever. The more you use the system the more you will be addicted to the system. Don't forget, it is important to know what will happen before you enter the trade and also to see what happens to your account when the trade is off because of losses. 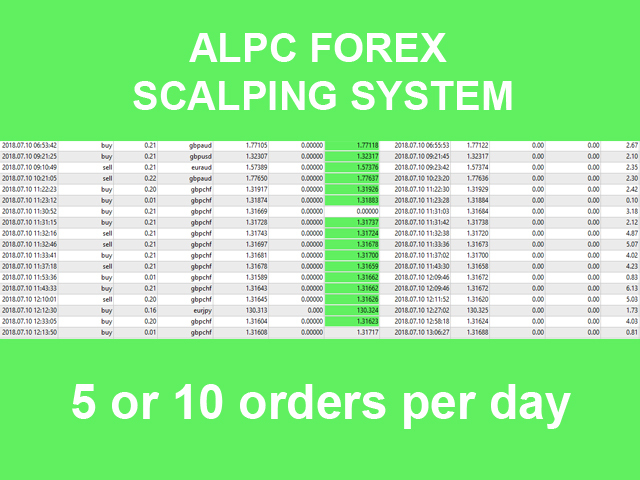 ALPC MATRIX Forex System waits, warns, pursuits and close the related trade parity instead of you. With the usage of the CopyTrade application of the system you can open trades opened by EAs also automatically. With the usage of the Telegram service you can get the whole signals and the chances wherever you are over your smart mobile phone.